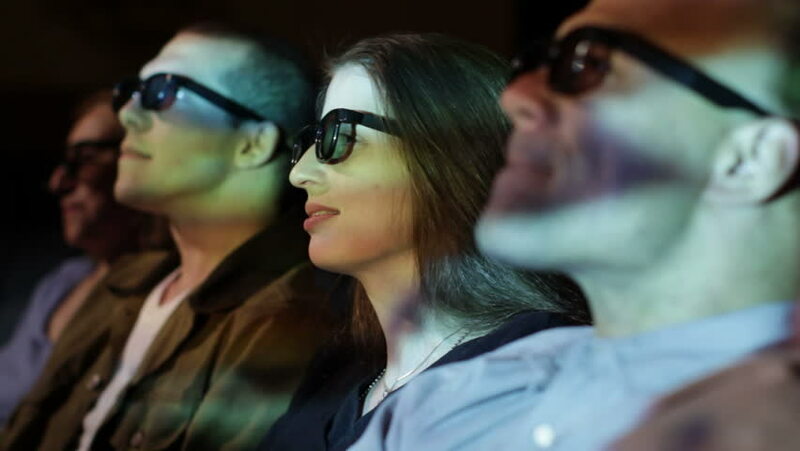 Young woman and friends react to dramatic action as she watches a 3D movie. Focus on her with a small dolly move and projections on her face. hd00:21Two young traveler women. Best friends hiking together, they sitting, speaking and laughing. hd00:13Attractive girls in sunglasses with cocktails are relaxing outdoors. They are wearing light shirts with patterns. Video recording. hd00:30Young man has various reactions while watching a movie with a group of friends. Ends with everyone clapping. Focus on him with a small dolly move and projections on his face. hd00:17Young woman applauds as she watches a 3D movie. Focus on her with a small dolly move and projections on her face. hd00:26Young man watching a 3D movie with a group of friends, exchanging comments. Focus on him with a small dolly move and projections on his face. hd00:17Young man watching a 3D movie with a group of friends. Focus on him with a small dolly move and projections on his face. hd00:13Young man watching a 3D movie with a group of friends. Focus on him with a small dolly move and projections on his face. hd00:20Attractive young woman watches a movie. Focus on her with a small dolly move and projections on her face. hd00:28Mature woman watching a movie and wearing 3D glasses. Focus on her with a small dolly move and projections on her face. hd00:30Mature woman gets excited as she watches a 3D movie. Focus on her with a small dolly move and projections on her face.